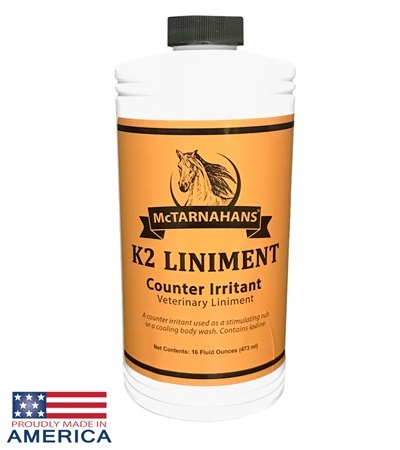 McTarnahans K2 Liniment 16 oz. - Jacks Inc.
McTarnahans® K2 Liniment 16 oz. McTarnahans® K2 Liniment is a counter irritant used as a stimulating rub, a cooling wash and a handy antiseptic. Contains .75% Iodine.